The Oceans and Fisheries Partnership is a USAID-funded activity, implemented by Tetra Tech ARD. USAID Oceans is a collaboration between USAID and the Southeast Asian Fisheries Development Center (SEAFDEC) and the Coral Triangle Initiative on Coral Reefs, Fisheries, and Food Security (CTI-CFF). The program works with a wide range of partners that bring additional expertise and experience to the mission. USAID’s Regional Development Mission for Asia (USAID RDMA), located in Bangkok, Thailand, implements programs and forges partnerships with government, civil society, private sector and regional institutions across 24 Asian nations. RDMA’s regional programs that address cross-border issues, including environmental issues, which are among the chief impediments to Asia’s long-term development success. Rapid economic growth has led to dramatic increases in the use of natural resources and wrought unprecedented damage on Asia’s forests, fisheries, wildlife and vulnerable ecosystems in response to these threats. Partner organization, the Southeast Asian Fisheries Development Center (SEAFDEC), is the technical and operational arm for fisheries matters in the region, and is engaged in the ASEAN-SEAFDEC Strategic Partnership (ASSP). ASSP works to enhance cooperation between ASEAN, SEAFDEC, and ASEAN member countries and recognizes USAID Oceans as an official ASSP program. SEAFDEC facilitates regional engagement and supports Activity work streams through the Oceans/SEAFDEC Technical Working Group. SEAFDEC also bring tremendous technical expertise to the Activity, in support of capacity building activities in the learning and expansion sites. SEAFDEC is working closely with national fisheries agencies on the implementation of the ASEAN Catch Documentation Scheme, which complements Ocean’s regional approach and supports traceability objectives. The Coral Triangle Initiative on Coral Reefs, Fisheries and Food Security (CTI-CFF) is a multilateral partnership of six countries (Indonesia, Malaysia, Papua New Guinea, the Philippines, Solomon Islands and Timor-Leste), formed in 2007 to address the urgent threats facing the coastal and marine resources of one of the most biologically diverse and ecologically rich regions on earth. CTI-CFF seeks to sustain the region’s extraordinary marine and coastal resources in the face of climate change and other anthropogenic threats by improving conservation of the Coral Triangle coral reefs and associated ecosystem functions, goods, and services. 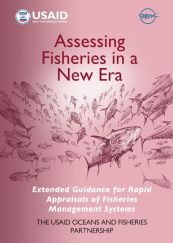 CTI-CFF has performed extensive work in regional fisheries management planning, and complements Oceans’ objectives to establish enhanced national and regional Sustainable Fisheries Management Plans using an Ecosystem Approach to Fisheries Management. USAID Oceans aims to strengthen the capacity of regional and national governance bodies and institutions. In support of this goal, the USAID Oceans National Technical Working Group (TWG) was established in 2016, and is comprised of individual members appointed at the regional, national and local level that mirror the USAID Oceans team structure. The TWG is a network and mechanism to facilitate regional collaboration. A TWG has been established for each member country and for SEAFDEC’s technical leads, with each team coming together to work collectively to further regional engagement and implementation. 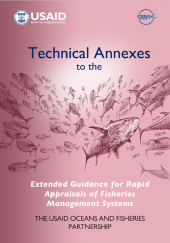 Technical leads within the TWG will work directly with USAID Oceans’ work stream specialists in the areas of catch documentation and traceability, fisheries management, human welfare, and partnerships. Visit Where Oceans Works to access Technical Working Group contact information and details. Tetra Tech ARD is the prime contractor for USAID Oceans, and is a leading provider of consulting, engineering, and technical services worldwide. Tetra Tech ARD provides support to USAID on a wide-range of international development programs, using engineering, science, and high-technology solutions to solve the complex problems of the modern environment. Tetra Tech’s approach is based on sound science, stakeholder engagement, capacity building, and innovative technologies and best practices. Tetra Tech has a substantial presence in Asia and extensive experience in the Asia-Pacific region having served as the Program Integrator for two of USAID/RDMA’s groundbreaking regional programs, the US Indian Ocean Tsunami Warning System (IOTWS), and the US CTI Support Program (USCTI). Resonance harnesses the power of collaboration to enable communities, companies, and governments to drive market-based solutions to global challenges. Resonance has proven experience in partnerships for development, building on their recent successes with TV White Space’s broadband with the USAID Ecosystems Improved for Sustainable Fisheries (ECOFISH) Project. Under USAID Oceans, Resonance has been working to develop public-private partnerships with information and communications technology firms, leading retailers, Southeast Asian seafood processors and fisheries, and the financial sector to support the development of electronic catch documentation and traceability to reduce illegal fishing and improve fisheries management. Verité is a global non-profit with a mission to ensure that people work under fair and safe conditions. Verité aims to ensure that globalization is made to work for poor and vulnerable populations around the world. 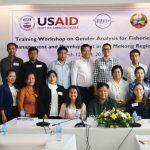 As part of the Oceans and Fisheries Partnership, Verité is conducting the program’s Gender Analyses. 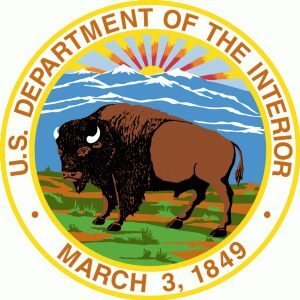 Analyses will gather information on and document a range of labor conditions and current labor compliance efforts in learning sites, which will be used to inform the design and implementation of CDT system. Verité will also determine potential goals for improved labor conditions, document existing labor compliance efforts by private sector entities, and document the legal and regulatory labor frameworks of target countries relevant to the fishing sector. USAID Oceans and ADM Capital Foundation announced a partnership in January 2017 to explore the development and implementation of a financing vehicle to promote innovation and scalability in seafood traceability. The partnership seeks to combat IUU fishing, promote a fair and ethical seafood supply chain and advance sustainable fisheries and marine biodiversity conservation in Indonesia from 2017-2019. ADM Capital Foundation, ADM Capital and other partners are working to build an innovative finance vehicle for Indonesia, the Tropical Landscape Finance Facility, which offers long-term loans to support projects that lead to improved rural livelihoods and access to energy for off-grid communities. USAID Oceans has partnered with Future of Fish to leverage its existing collaborations with traceability technology vendors, seafood supply chain actors, and NGOs. Future of Fish is working with these stakeholders to build the business case and supporting infrastructure needed for scalable full-chain traceability. Future of Fish is a nonprofit systems change incubator that works with entrepreneurs, industry players, and investors to create business solutions to ocean challenges. Future of Fish’s goal is to end overfishing by building strategic, collective impact through a powerful combination of analytics and design. USAID Oceans has formed a partnership with the Institute of Food Technologists (IFT)-Global Food Technology Center (GFTC) to leverage best practices and knowledge of food and seafood traceability standards from around the world to ensure the USAID Oceans CDT system is aligned with emerging traceability requirements in key export markets. GFTC assists the global food industry to trace products through the supply chain to improve food safety, diminish risk, avert devastating health consequences, and prevent economic loss to the food system. GFTC generates knowledge that addresses research gaps and delivers applied research, objective advice, and practical expertise about global food product traceability and data collaboration for private benefit and public good. USAID Oceans and Inmarsat Global Limited (Inmarsat) launched their partnership in August 2017 to help commercial fishing crews promote sustainable fishing in Southeast Asia. By making use of enhanced communication technology, the partnership will advance catch documentation and traceability (CDT) to promote legal, reported and regulated fishing. USAID Oceans will leverage Inmarsat’s expertise to improve communications for fishing vessels in the region. Crew members on medium and large vessels will integrate existing monitoring systems and CDT data with Inmarsat’s Fleet One and IsatData Pro technology, a global two-way messaging service for tracking and monitoring ports and vessels. USAID Oceans will pilot this technology in Bitung, Indonesia, and Songkhla, Thailand, where the project has undertaken CDT system development and testing. Successful pilot tests demonstrating effective communications between vessels and ports will enable further CDT system development in the region. Inmarsat is a leading provider of global mobile satellite communications services that has been providing reliable voice and high-speed data communications to governments, enterprises and other organizations since 1979. USAID Oceans and the International Pole and Line Foundation (IPNLF) announced their partnership in May 2017, designed to develop and implement a financially sustainable CDT system in Indonesia’s coastal tuna fisheries, that will integrate with existing government and industry systems. IPNLF works to develop, support and promote socially and environmentally responsible pole-and-line and handline tuna fisheries around the world. IPNLF’s ambition is to contribute to thriving coastal fisheries, including the people, communities, businesses and seas connected with them. Through the partnership, IPNLF will engage its Members and networks to build awareness and support in key export markets for implementation of the CDT system and sustainable fisheries management in Indonesia. USAID Oceans and IPNLF are also working closely to develop an Indonesian Coastal Tuna Sustainability Alliance that will support the coordination and scaling of various traceability and sustainable fisheries management initiatives in Indonesia. USAID Oceans and Yayasan Masyarakat dan Perikanan Indonesia’s (MDPI) partnership enhances regional coordination between national and provincial governments, with a focus on fair labor and gender equity in fisheries management, and promote overall sustainability. The partnership supports USAID Oceans’ CDT System development work, which will help small- and large-scale fisheries promote fair and ethical seafood supply chains and meet regional and international import standards. MDPI has extensive expertise in traceability and fisheries sustainability in Indonesia, and works closely with industry partners such as PT Blue Ocean Grace International, PT Nutrindo and Anova Technical Services, LLC. These partners have signed on to pilot the new CDT technology, signaling a commitment to combatting IUU fishing. USAID Oceans and the Monterey Bay Aquarium Seafood Watch® launched a partnership to improve the traceability of seafood products entering the North American market and increase sustainable fisheries management in the Asia-Pacific region. Seafood Watch® empowers consumers and businesses to choose seafood that is fished or farmed using responsible methods that protect sea life and habitats, now and for future generations. Seafood Watch is the leading North American seafood ratings program whose science-based sustainability standards encourage environmentally sustainable practices. The program assesses over 80% of seafood by volume consumed in the US market, and helps major businesses and individual consumers make choices that support a healthy, sustainable ocean. Its partnerships with major seafood buyers create market incentives for well-managed fisheries to maintain strong regulations, traceability, and high environmental performance. Thai Union is the one of the world’s leading seafood companies with annual sales exceeding THB 134 billion ($3.8 billion). 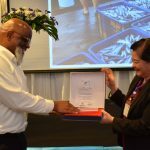 Sustainability is of critical importance for Thai Union, and as a leading seafood company, Thai Union is determined to drive positive change throughout the industry. 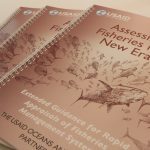 USAID Oceans and Thai Union are partnering to implement digital catch documentation and traceability (CDT) systems in tuna fisheries in Thailand and Indonesia, with future expansion to other countries and fisheries in the Asia-Pacific region. The partnership will work to improve fisheries management practices; form partnerships with governments and other industry stakeholders to improve transparency in seafood supply chains; and explore linking additional features to CDT systems including labor data and crew communications to promote responsible and equitable labor practices in the seafood sector. 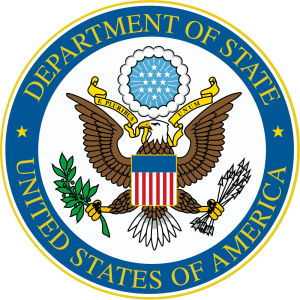 The World Ocean Council (WOC) is a USAID Oceans partner, working to engage the private sector, including the investment community in support of the CDT system and Activity objectives. WOC will bring together the ocean business community to develop leadership, collaboration, and investment to bolster project support and long term sustainability. WOC is a global, cross-sectoral ocean industry leadership alliance committed to “Corporate Ocean Responsibility”, developed by and for the private sector, with a unique and multi-sectoral approach to address cross-cutting issues affecting ocean sustainable development, science and stewardship of the seas. WOC brings together the multi-sector Ocean Business Community to catalyze global leadership and collaboration in ocean sustainable development, science and stewardship.